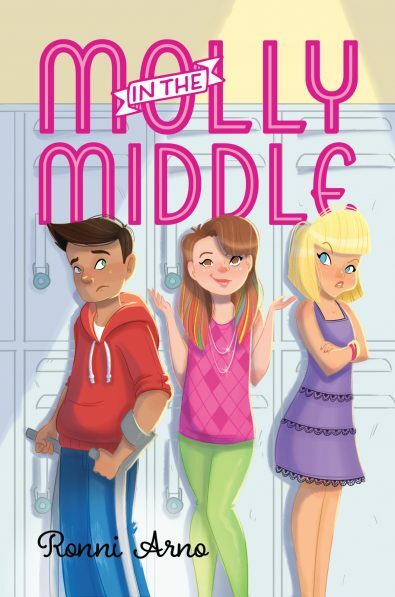 Twelve-year-old Molly Mahoney is in the middle of everything. She’s in the middle of her parents’ impending divorce. She’s in the middle of her rebellious older sister and her lazy younger sister. She’s in the middle of her class, ranked at exactly 143 out of 286. Even her name (first and last!) places her right in the middle of the alphabet. And after a morning where her parents forget to drive her to school, and the field trip she was supposed to be on leaves without her, Molly decides it’s time to figure out how she can finally be in the spotlight—and stop being invisible.